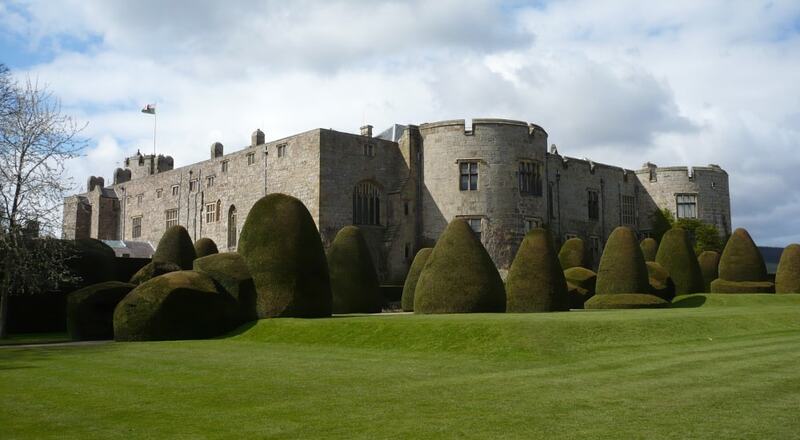 Chirk Castle is a Grade I listed castle located near the town of Wrexham in Wales. The castle was built in 1295 by Roger Mortimer de Chirk, uncle of Roger Mortimer, 1st Earl of March as part of King Edward I's chain of fortresses across the north of Wales. The castle is owned by National Trust and is open to the public. The property is also notable for its gardens, with clipped yew hedges, herbaceous borders, rock gardens and terraces and surrounded by 18th century parkland.